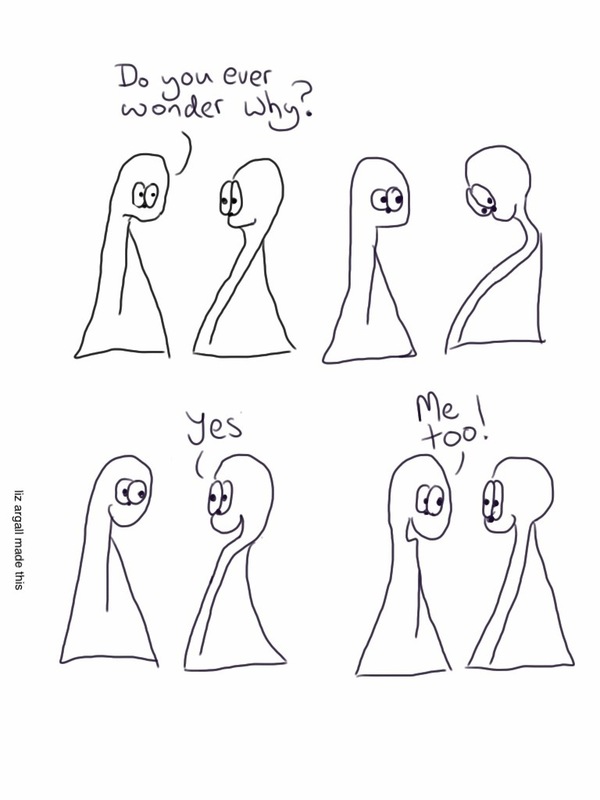 Thing 1: Do you ever wonder why? I initially drew my things on plain white paper. Sadly I don’t have an awesome-sauce scanner, so I then redrew my things on the iPad. I’ve been using sketchbook (first the free express version, and I like their stuff so I’ve upgraded to pro). For the first few comics I imported the scanned image as a layer, reduced the opacity to 30% and then drew on top as a fresh layer. I really like doing it all on my iPad. It saves me so much time with messy photo exporting/uploading/fiddling. These days I use my handy stylus (I enjoying a Trent Limir stylus) to draw directly into my iPad. I export the image to my photo gallery and then use my WordPress ap to create the new blog post. Sometimes I do some cropping or small adjustments using the free photoshop ap. I’m not sure if the resolution is high enough for print quality, I haven’t been brave enough to find out! Sketchbook is made by the creators of autocad and it seems like quite a soundly put together piece of technology, certainly reasonably priced (free or $2). Does anyone else have cool iPad tech to recommend? For drawing, cleanup or type-setting (or just plain cool. Once I’ve found the sketchbook and hopefully gotten some better scans I will have some flipbook style animations to do (my first ever animated giffs), so recommendations for nifty animation as are very welcome too.